Travel doesn’t have to cost the world. While the UK isn’t normally considered a budget destination, after all, the pound is a relatively strong currency, and you won’t find €1 beers here, you can still visit on the cheap. With its mythical Highlands, ancient UNESCO World Heritage cities and friendly hospitality, Scotland should be at the top of any traveller’s list. Spend your days hiking dormant volcanoes, discovering the wonderful world of witchcraft and wizardry, and dance your nights away with the locals. To help those travelling on a bit of a tighter budget, we’ve put together some of our insider tips on how to make the most of your time in Edinburgh without spending a fortune. 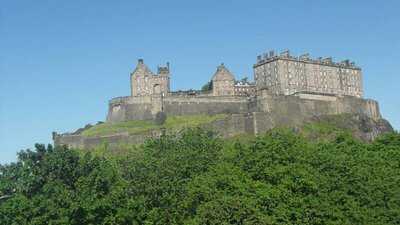 Learn about Scotland’s history at the National Museum, hike to the top of Arthur’s Seat for stunning views or get lost in the historic Royal Mile. There’s plenty of things to do for free in Edinburgh (apart from the castle, of course). Delve into Scottish history, explore modern innovations or explore cultural artefacts from across the world at the National Museum. Those travelling with children will especially love the interactive exhibits and kids playrooms. Admission to the main areas is free. Whenever guests ask us for our top recommendation, we always point them towards the free walking tours. Sandeman’s Free Walking Tour runs from outside Starbucks on the Royal Mile and provides an exciting look at the city’s history. You’ll learn about the evil deeds of Burke & Hare, discover otherwise impossible to find Harry Potter sites and hear stories from our city’s colourful past. We recommend starting your visit with one of these tours as it’ll also help you get the lay of the land and set you up for the rest of your trip. While these tours are ‘technically’ free, the guides work on a tip-only basis so depend on your generosity to eat, sleep and pay their rent. Please make sure to give them something, how much is totally up to you. At the bottom of the Royal Mile, you’ll find this towering volcanic plug. Hike to the top for the best views of Edinburgh. Depending on which route you take, the trip up will take one or two hours, and we recommend starting early in the morning to avoid the summer crowds. Arthur’s Seat is a particularly special place to visit on the summer solstice as you can watch as the sun briefly dips below the horizon, before dawn breaks. Located on the Royal Mile, it’s nearly impossible to miss this Gothic beauty. Step inside to admire the decorative ceilings, stained glass windows and divine atmosphere. While admission is free, you’ll need to pay a small fee of £2 if you want to take photos. Connecting the iconic Edinburgh Castle to the Royal Palace of Holyrood (the Queen’s official residence when she’s in town), the Royal Mile is a fantastic place to explore. You could spend hours tucking into closes, sipping coffee at local cafes, or admiring the historical sites. During the summer months, street performers often make this street into their outdoor stage. So, you can easily watch fire dancers, bagpipers and much more. However, even the greatest street performer can’t hold a flame to the Royal Mile’s history and architecture. Make sure your camera has plenty of memory as it’s too easy to get a bit snap-happy as you wander through this area. Walk down from the Royal Mile, through Edinburgh’s UNESCO Heritage New Town, to Stockbridge. Stockbridge is easily one of our favourite neighbourhoods and offers a peaceful escape from the city’s more touristy areas. 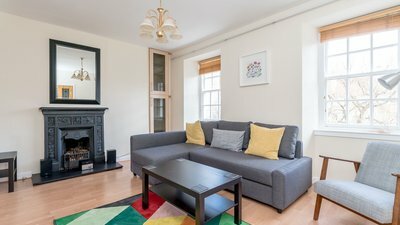 Spend your day browsing the trendy second-hand stores, sipping coffee at independent cafes or walking along the idyllic Waters of Leith. On Sundays, there’s even a farmer’s market, perfect for picking up local produce or keepsakes from your time in Edinburgh. Located a bit further from Edinburgh’s city centre, Portobello is the ideal place to relax during warm summer months. When the sun shines, locals flock here to stroll along the retro boardwalk, enjoy a soft serve ice cream cone and build sand castles on the beach. If you’re feeling brave or hot enough, you can even enjoy a refreshing dip in the Firth of the Forth. Families particularly love visiting Portobello as there’s an arcade with fun games, ice cream and cotton candy (the Brits call it candy floss) and plenty of room to run and splash! If you’re looking for some of the cheapest beer and drinks in Edinburgh, then head to your nearest Wetherspoons. Wetherspoons, a UK-wide chain, look and feel like traditional or independent pubs without the hefty price tag. Unlike most chains, each pub is totally unique. The Standing Order, on George Street, was formerly a 19th-century bank so still has its original vault while the Caley Picturehouse, on Lothian road, was a 1920s cinema and has a Great Gatsby vibe. Even better, Wetherspoons offers some fantastic deals on well-known brands with most pints costing less than £4. They also serve cheap pub food and due to licensing laws, unlike most Edinburgh pubs, can welcome children. Across Edinburgh, you’ll find local fish and chip shops on nearly every corner. Regardless of where you’re staying, we can almost guarantee that there’ll be a chippie within walking distance. On the Royal Mile, our go-to is Benny’s. Fish & chip shops are not only great on the wallet but let you sample classic Scottish fare. Scotland’s fish and chip shops offer a whole range of fried food from deep-fried Mars bars to scrunchies (a.k.a deep-fried pizza) and haggis. You can also get classic favourites like scampi or breaded fish fillets. Near the University, you’ll find several cheap eats and cafes. Thai Caravan is one of our favourites as it serves tasty Thai food at low prices. We always go for classics like the Pad Thai, but you can choose from a wide range of dishes as you watch local students and reminisce about your uni days. 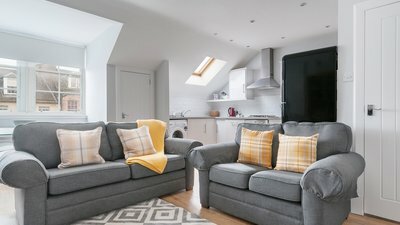 Staying at one of our self-catering apartments is a great way to save money. All of our flats feature fully-equipped kitchens, so you can whip up a healthy breakfast or dinner and don’t have to eat out. You can also grab a few beers or a bottle of wine from the local supermarket and relax with your travel companions in the comfy living rooms. Most families also often enjoy staying in self-catering accommodation as parents can relax and enjoy their evening after the kids go down for the night. Check out our range of budget-friendly self-catering apartments here or speak to our dedicated property manager. We’re happy to answer any questions you have and help you plan your trip to Edinburgh. Did you know it’s possible to visit some of Scotland’s top destinations on a day trip from Edinburgh? Check out our guide on six awesome day trips for more info. 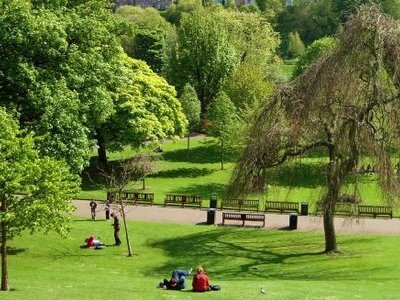 Get more info on some of Edinburgh’s best budget-friendly places to eat. From Mexican to Scottish fare, our city has a bit of everything -- perfect for all types of travellers. Travelling with a little one in tow? Our guide makes planning a family-friendly holiday easy. Discover kid-friendly places to eat, must-see attractions and more.